Will my vaginal symptoms go away without intervention? Are other women also bothered by vaginal symptoms? How are vaginal symptoms of menopause treated? What is the difference between local and systemic oestrogen therapy? 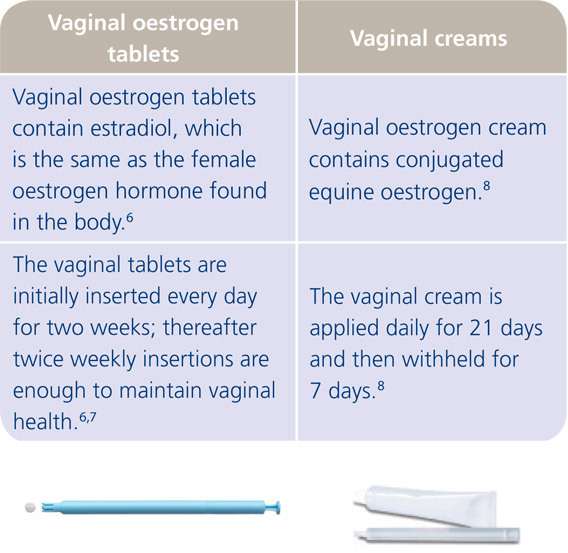 What is the difference between a vaginal oestrogen tablet and a vaginal oestrogen cream? Do I need a doctor’s prescription for vaginal oestrogen tablets? 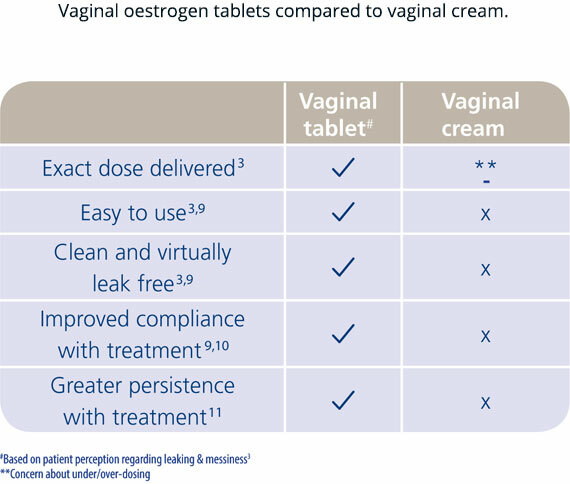 How do blood levels of local vaginal oestrogen compare with oral oestrogen? For how long can I use vaginal oestrogen?